"Sports has nurtured the competitive spirit in me, the spirit to win," he says. A die-hard sports lover, Kripalani played football and volleyball during his college days. Hardly a weekend goes by when the 33-year-old Nitesh Kripalani doesn't play squash with his friends. And it's no casual game. "Sports has nurtured the competitive spirit in me, the spirit to win," he says. A die-hard sports lover, Kripalani played football and volleyball during his college days. That competitive spirit has helped him become Executive Vice President (Business Development and New Media & Syndication) of television company Multi Screen Media (MSM), which owns channels such as Sony Entertainment, Sab TV and Set Max. He cut his teeth as a professional soon after he finished college and joined Ajuba, a knowledge process outsourcing (KPO) company, in Chennai. A year later he moved to another KPO, Office Tiger, where he handled a $3 million business. "The biggest contribution of the two KPOs to my career is the mindset that every target, however challenging, is achievable," he says. "They gave me the first lessons in efficiently running a business." FULL COVERAGE:India's hottest executives under 40After getting an MBA from INSEAD in the US, Kripalani worked with A.T. Kearney in Singapore and British Telecom in London, before returning to India to join MSM in 2009. Given his corporate strategy experience from his previous jobs, Manjit Singh, then CEO of MSM, tasked him with turning around a bleeding business. He recalls that Singh told him: "You need to help make this business cash positive." Kripalani says he did nothing drastic; rather, he focused on a few processes. "I insisted on things like five-year plans, unlike the usual practice that most Indian media companies follow, of planning only for one year," he says. He adds that the company was on the path of profitability within a year. He says his greatest achievement in the past year has been the launch of the Sony Liv digital platform, an aggregation of content from all company channels, making MSM the first broadcaster to have an organised digital set-up. "The idea was to reach out to consumers in their own environment and enable them to consume our content as per their convenience," he says. The platform, which turned one in January, has notched seven million downloads and 40 million unique visitors. Unlike most such aggregators, which use a subscription model, Sony Liv is ad-driven. 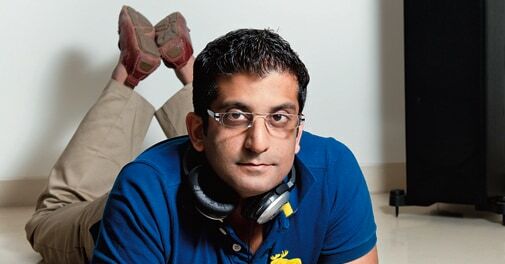 Getting advertisers has been no cakewalk, says Kripalani. "The mindset to advertise on new media was not there. Convincing advertisers that streaming a TV show online won't hamper ratings was a challenge." But he says has locked one-year deals with brands such as Tourism Australia, Tata Motors and Axis Bank. Sony Liv contributed around five per cent to MSM's top line last year. Kripalani aims for it to be 15 per cent in three years, and hopes to take Liv international by the year-end. "We want to get on platforms such as Apple TV and Google TV." He also plans explore the 'freemium' model, which is a mix of free and paid content.